First, I promise not to deluge you with wedding chatter and will keep posts regarding our nuptials to a reasonable level. That being said, I am rather excited, so I thought I'd share a few things with you! When we first got engaged, I had the brilliant idea that I would DIY as much as possible. It seemed like a pretty solid plan - I am a creative, crafty lady. Not to brag, but I can pretty much figure out how to make or bake anything. My reasoning was this: We could afford to purchase all of these services provided we didn't get too fancy. But, I wanted more than just "nice" - I wanted my wedding be on the first page of Style Me Pretty! And if I made a few things myself, well, not only could I then afford to have snazzy letterpress invitations, I could also have tons of flowers AND a gorgeous wedding cake! I could have it all, so bring it on! Make my own invitations? Sure! Bake my own wedding cake? Totally, I make killer cupcakes! Arrange my own flowers? No problem! Well, this mentality lasted a hot minute. Or, more precisely, it lasted until I made my own envelope liners. Yes, that's right. Not even my own invitations - just the envelope liners. For those of you who choose not to heed my advice, I'll show you how I made my beautiful liners for $5. They actually look really nice and I may make some more in the future...If I ever need to send anyone some snail mail. However, I strongly recommend that you not take on the task of measuring, cutting, and gluing together 68 envelopes. In the end, I spent at least 2 full days on this project, crippled my hand, and saved (maybe) $65. IT'S JUST NOT WORTH IT. Sure, I can make 8 of these arrangements the day before my wedding...in my mind. So here are three key reasons why you should not DIY your own wedding. They are made up of my own experiences in DIYing, or attempting to DIY a wedding, as well as my Best Wedding Friend (BWF, whose wedding - to my fiance's best friend - is the month before ours), and my BWF's sister-in-law. Your Time is Worth More - However long it takes a professional to do a task, multiply it by 10. I had to go to 8 different stores to find the liner that I wanted. That took an entire day alone! On top of that, it took me a full day to measure and cut out my envelop liners. I spent 2 full days making 68 liners. If I were to be paying myself $10 an hour, that means it took me $160 in labor to make these liners. Awesome. It took my BWF several hours each day over the course of the week to make her liners, excluding the time she spend designing them (yes, she is crazy, she actually painted a watercolor by hand, scanned it, had it printed out, and then cut the liners out. All and all, she's been working on this project since August!). I saved a grand total of no more than $60. Maybe $65. Tops. 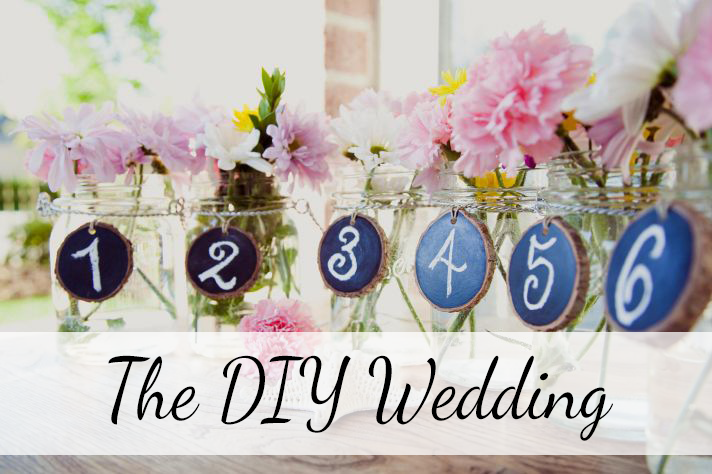 They Can End Up Being More Expensive - Let me tell you about the 90k DIY wedding. Seriously, I kid you not. BWF's sister-in-law decided to have a DIY wedding in the mountains of California. Unfortunately, being in such an isolated place, the cost of renting items separately, hauling said items up the side of a mountain, then transporting the items she had made in advance, and having to replace or redo DIY items last minute resulted in a DIY wedding that cost about 90k. And by the time the reception came, there were still problems with missing items. Can you imagine spending 90k on a wedding that wasn't perfect? No thanks! You Don't Need the Stress - I didn't really mind the time it took to make the envelope liners, but it was a tedious process to say the least, not to mention it left my hand mangled. The more I thought about doing my own flowers and the fact that I'd need to do them the day of the rehearsal dinner with all of our family coming in from out of town, as well as find someone else to transport the flowers and set them up, the more I decided it was in my best interest to sacrifice the size of my arrangements in favor of peace of mind. Besides, I want to make sure my mani stays fresh! Although I won't get to show off my mad floral arranging skills, little shopping around found me a dedicated florist who should be able to give me close to what I had planned to do myself for the same price, if not less. Now, if we were having a small wedding or a low key wedding, or even if I had family members to help out (alas, I am the only person in the family gifted with a creative bone), I don't think this would be a problem. But we are having a traditional, formal wedding and anticipating somewhere in the vicinity of 140 guests. 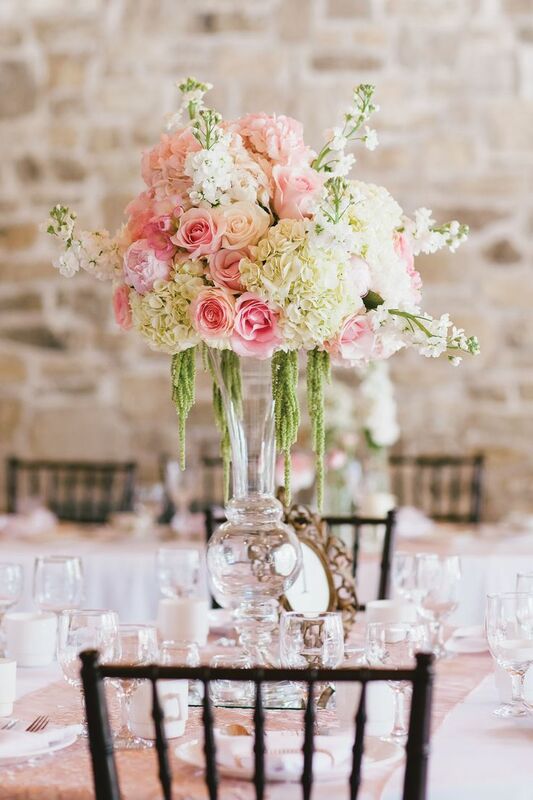 With a wedding of that style and size, the only way you're going to be able to DIY aspects of your wedding is if you have a LOT of knowledgeable auxiliary support and/or you are able to access your venue the day before. On the bright side, if you do choose to go forth and DIY, you could end up a celebrity on Pinterest Fail! Has anyone else ever tried to DIY a project and promptly regretted it? Or taken one on and had it go perfectly?! I like to craft but I totally get what you're saying. Weddings and planning them are supposed to be fun, not stressful and I couldn't imagine crafting hundreds of invitations. Plus, you're right, crafting can be expensive!